Robert Smithson's Spiral Jetty, photographed in 2008. I can’t even enjoy a blade of grass unless there’s a subway handy or a record store or some sign that people do not totally regret life. 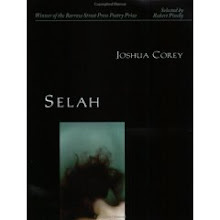 Scheduled for publication by Ahsahta Press in May 2012, and edited by Joshua Corey & G.C. 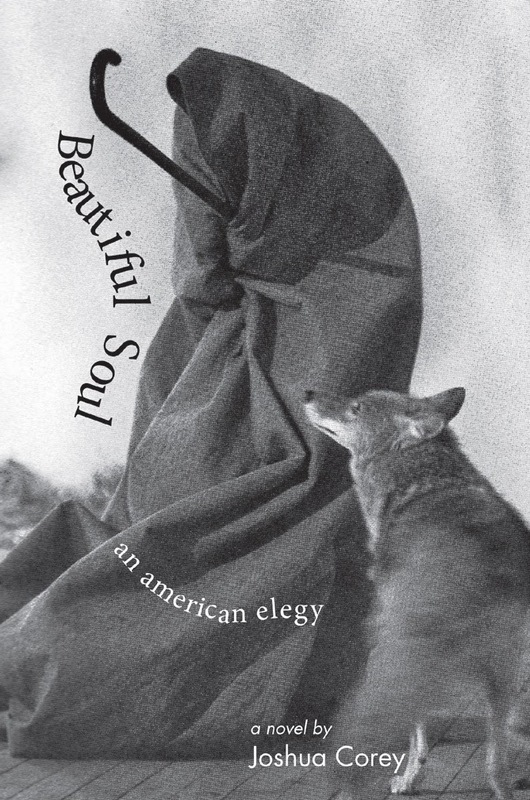 Waldrep, The Arcadia Project seeks to explore the relationship between the postmodern and the pastoral in contemporary North American poetry. In the twenty-first century it is only a short leap from civilization and its discontents—from the violent inequities of the “global village”—to the postmodern pastoral. Postmodern and pastoral: two exhausted and empty cultural signifiers recharged and revivified by their apparent antipathy, united by the logic of mutual and nearly assured destruction. With gas and food prices climbing, with the planet’s accelerated warming, with the contraction of our cheap-energy economy and the rapid extinction of plant and animal species, both the flat world of global capitalism and the green world of fond memory are in the process of vanishing before our eyes. As Frederic Jameson once remarked, “It seems to be easier for us today to imagine the thoroughgoing deterioration of the earth and of nature than the breakdown of late capitalism; perhaps that is due to some weakness in our imaginations.” It is to that question of imagination—dystopian and utopian—that this anthology addresses itself. Any work in English by writers working in North America that addresses the pastoral in a postmodern idiom, vocabulary, or context, or vice versa, is welcome. 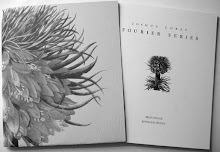 Please send up to 15 pages of poetry, in standard electronic format (PDF, .doc, .docx, .rtf, .wpd) to Joshua Corey & G.C. Waldrep at postmodernpastoral@gmail.com. Previously published work is acceptable; please provide acknowledgments or a publication history in that case. Deadline: 9/1/10. Please feel free to forward this call to others, post on your blog, etc. We look forward to reading your work. Not too long ago, I could think of no good reason that writers shouldn't blog. At least, not writers who were interested in actual contact with their readers and with other writers - who sought many of the most immediate benefits of publication without having to go through the filter of an actual publisher. But earlier this year Harriet, the blog administered by the Poetry Foundation, announced that it was discontinuing its old format--inviting a diverse group of poets on a rotating basis to blog whatever was on their minds--becoming instead a sort of poetry news aggregator, the 1010 WINS of Parnassus. Part of their reasoning behind this move was that all the "action" in poetry commentary was now taking place on Facebook and Twitter. The blog, they strongly implied, was dead. It's true that nowadays, a lot of the most interesting discussions, provocations, and manifestos that I used to read on poetry blogs now happen on Facebook. Many of my poetry acquaintances have either abandoned their blogs or simply post much less frequently. But there are obvious problems with the Facebook model of social media, particularly as applied to literature and literary community. Facebook is the ultimate gated community, and what gets posted there is visible only to one's friends; at the same time, the very meaning of the word "friend" has been perhaps permanently diluted by the site. This was brought home to me during the conversations around the "Rethinking Poetics" conference held at Columbia University earlier this summer. It stirred up a great deal of conversation and controversy among participants and non-participants alike. But you weren't going to hear some of the most interesting discussion of the conference unless you were on Facebook. It fell to those attendees with blogs, or access to friends' blogs, to take the conversation into the actual public sphere, where it belongs. Blogs used to be akin to both the front and back yard of one's literary house. In the front yard you'd make statements to the world at large about who you were and what you were about: there you'd display your topiary animals, your pink flamingos, flaunt the lack of a lawnmower, or what have you. The backyard - the emails and comments streams blogs generate - was where you'd host your barbecues and parties, though unfortunately increasing amounts of energy have had to be spent wrestling with or ejecting one's most unruly or obnoxious guests. Now Facebook is the backyard, for invitees only, and the parties are more civilized and sedate. But what's going on in the front yard? Who's sitting on the porch swing? Who's brewing up a pitcher of lemonade or sangria to offer to one's neighbors, or opening their literary house to those necessary strangers of literature, the readers? As Gertrude Stein once said, "I write for myself and for strangers." And Facebook makes a poor substitute for the salon she and Alice B. Toklas curated together at 27 Rue de Fleurus. Blogs are for the self - and for strangers - in a way that Facebook can't be. Now, I don't blog as much as I used to, largely because of the demands of teaching and parenting. And no form of new social media has replaced, for me, the task of writing poetry and fiction - the old social media by which one communicates with the ultimate strangers, the great dead writers of the past whom one has loved, and readers unknown and unborn. But blogging has come to feel, in the new context created by Facebook and Twitter (both of which I take full advantage of), less ephemeral than it was - somehow closer to print, or at least to newsprint. Tony's talk stimulated and confirmed some of these ideas: he called his blog a kind of "performative notebook," which I thought an enormously resonant description. From the beginning, of course, this blog has been a notebook, as its tongue-in-cheek title implies. But it's a notebook in public, written "live" in a way that one never writes for print, for an audience of friends and strangers. There's a marvelous tension between the idea of the notebook - such a solitary creature - and that of performance, which always involves bodily display. There's a high-wire quality to it that's scary and attractive. Finally, we hit upon the useful idea of "the bloggy" - which is to say that blogs are a genre unto themselves, a medium with its own possibilities, a material that resists the writer in characteristic and interesting ways. Blogging for me has long ceased to be ancillary to my writing practice, and is instead a practice in its own right, for its own sake. And in that context blogs are still very much alive. "Abstract Painting"'-'Gerard Richter 2000. From Donna & Howard Stone Collection. Totally gray without being pure gray, like strip layered upon strip of duct tape with intervening lighter grays. Janine Antoni - Amercan b. 1964. "Mortar and Pestle,"'1999. A photo of a tongue licking an open eye. Can't tell the sexes of licker or licked. Humorous homage to Un Chien Andalou. By same artist: "Caryatid" (2003). Life-sized photo of woman standing on her head with top of head in vaguely Asian blue and gold vase. The vase itself, broken, stands sculpturally beside the photograph. Photo in light box by Jeff Wall with a name and image straight out of a Tom Waits song: "Rainfilled Suitcase" (2001). Katharine Fritsch (German, b 1956). "Ghost and Pool of Blood" (1989). Disturbing sculpture of a white-shrouded, not quite human figure standing before a red pool with what looks like a syrupy consistency. "Sound&Vision"'- exhibition taking its name from the Bowie song. Sublime, terrifying video installation by a French artist, Pierre Huyghe, "Les grands ensembles" (The Housing Projects) 1994/2001. Two residential towers in a foggy snow-strewn landscape, with bare Beckettian trees, their lights flashing and syncopating in rhythm with a driving electronic beat. (I mis-typed "a driving"'and my phone turned it into "androgynous.") The buildings are models and you can see it's a sort of diorama, particularly when the trees shake in the wind. But it seems to communicate something lonely and apocalyptic and darkly witty. I wish I could write a poem as simple and yet layered, pregnant, haunted. Pomo pastoral: John Baldessari's "Songs: 1. Sky/Sea/Sand, 2. Sky/Ice Plant/Grass"' (1973). Photos of a red ball tossed in the air, the photos arranged on the wall to become notes of a musical score. The lowest notes show the balls on the sand of a beach; for the highest notes, it's midair. On my way out up the stairs I pass a very large canvas by Georgia O'Keefe, "Sky Above Clouds IV," inspired by airplane travel. Reminds me of how Gertrude Stein's sense of landscape was inspired by plane trips, looking down at the earth and seeing Cubism. The info card says the painting has often been compared to Monet's water lilies. The path to Michigan Avenue passes through Impressionism. Bonjour Gauguin, "Why Are You Angry?" Van Gogh's postman with the luxuriant beard. Ongepotchket mix of furniture with the paintings creates the sense that post-Modern Wing the main museum has become an afterthought. There they are, the lilies themselves: Monet's transcendental myth of light. Haystacks, cathedrals, London. Hello Toulouse-Lautrec, how gaudy and interior you are this afternoon. Harald Sohlberg, you Swede, what are you doing here? 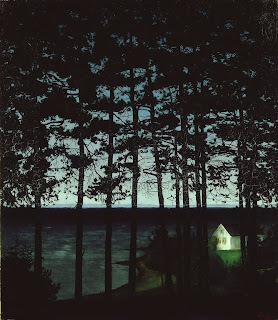 Your eerie "Fisherman's Cottage" with its dark foreground of trees foreshadows Magritte. Seurat, pass by, you died young. White-skinned bathers. Where have you gone, John Singer Sergeant? You are like Renoir without as many illusions. A Monet seascape dispels the illusion of multiple picture planes. And out to the grand staircase and the muggy street. This past Friday afternoon I got into my car and drove for far too long a time into the middle of pastoral nowhere: the Smith family farm west of Madison, Wisconsin. There I took part in what the organizers, Austin Smith and Mike Theune, call the first annual Arena Wisconsin Poetry Festival. After drinks and food in the house up the hill across the road, we all gathered in the barn for three rounds of poetry readings, featuring Matt Guenette, Chip Corwin, Bri Cavallaro, Meg Johnson, Patrick Moran, Andy Gricevich, Christine Holm, Seth Abramson, Brooks Johnson, and yours truly, as well as others. You'll note that list is awfully short on women, which was the festival's major shortcoming. But aside from that it was a helluva good time. Austin Smith kicking off the Festival. Mike Theune, the evening's other instigator. Mike was in rare form that evening (though he did punk out on the small hours hillside campfire that took place afterward - I wish my camera had been capable of capturing the Milky Way stretching overhead). Ubiquitous and gregarious, putting everyone at their ease, he helped make up for Kent Johnson's unfortunate absence by reading a typically scabrous and satirical poem Kent had written about Dean Young and his imitators to us. Later, he and Chip read some hillarious collaborations they'd written together based on the notion of the "purity test" that Tea Partyers supposedly want to administer to Republican candidates. Apparently, Austin had written to Robert Bly (a Wisconsin resident) inviting him to the festival, and had received a nearly illegible but gracious note in reply, along with a poem to be read. Austin did so, in one of Bly's trademark vests. It was one of those moments in which parody and homage blend inseparably together in a kind of Mobius strip. I was most startled by Brooks' reading. 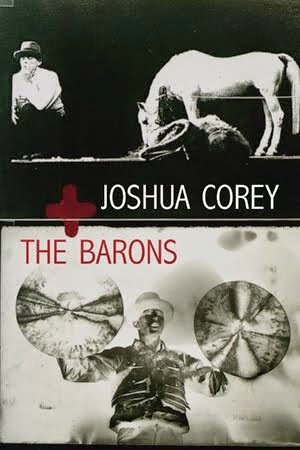 Brooks happens to be the son of Kent Johnson, and he's a recurring character in Kent's recent poems (see for example Kent's marvelous, unnerving collection Homage to the Last Avant-Garde). He has a goofy and unprepossessing affect when you talk to him, but at the podium he dug down into something fierce, funny, and uncompromising. It turns out he's another Chicago poet, living on the West Side where he helps to run the Mid-Coast Free School, an outfit which offers free classes to the community on subjects as diverse as yoga, "Government Aid and You," and Jacques Lacan. Austin and Daniel Smith, two of our hosts. It was a lovely community to suddenly be a part of, if only for a few hours: a genuine Temporary Autonomus Zone or poet-shepherds' pastoral (though there were some unidealizable elements, like the mosquitoes). It renewed my desire to take root more deeply in the Chicago literary community. The upcoming Printers Ball will offer one opportunity for that, but for the most part events like this are rare. It's the steady, slow accretion of connection that counts for the most and lasts the longest. And this was certainly a reminder of the reality of geography, and the almost magical effect of being in a group of others with only night, wind, and cows outside. The fields behind the barn. Your humble blogger. Not shown: 101 mosquito bites.